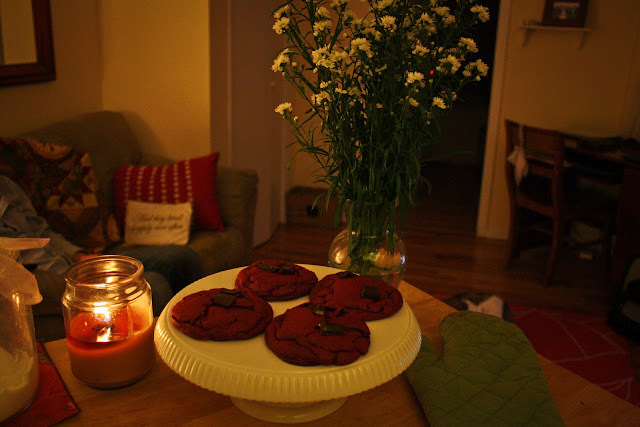 Following the Walkers: Red Velvet Cheesecake Cookies. I made these bad boys the other day. And then took them to small group because eating one basically satisfies your recommended calorie intake for the day. Although I could be convinced that it doesn't really matter when it comes to red velvet. Or cheesecake. Directions at Two Peas and Their Pod.